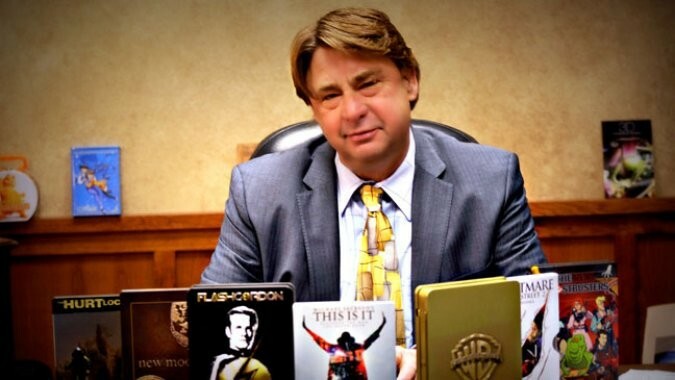 Last year, the Inlander tackled the long, extensive story of Erick Hansen, a fellow who bought up the Commercial Building in downtown Spokane, kicked out low-income tenants, and launched a company that, ostensibly, would produce Blu-Ray discs. The company's plans were praised by former Mayors Mary Verner and Dennis Hession and trumpeted by Greater Spokane Inc. But, to the say the least, their dreams did not come to pass. Hansen and his company, BlueStar Digital Technologies, has been hammered by accusations of fraud ever since. And now those accusations carry a federal punch. In December, Hansen and his collaborator, Sean Michael Borzage Boyd, were indicted on 16 counts of mail and wire fraud. At 1:30 today, Hansen will appear in federal court. 1) That Hansen and Boyd repeatedly lied to investors about the capabilities and business opportunities of their business. 2) That Hansen and Boyd told investors that their investments would be used for business expenses, when in reality they were "primarily" used for other purposes, like personal living expenses, debt payment, and commissions for Hansen and Boyd. and obtained the footage, he never took any meaningful steps to produce the discs or got a contract to distribute the footage. Instead, Hansen and Boyd used the possibility to gin up more investment. 4) That Hansen promised a film company he'd invest $250,000 to produce an animated film in exchange for distribution rights, but never followed through, and the contract expired. But even after it had expired, he and Boyd used the contract to try to attract more investment. 5) That while in discussion with film company Imprint Entertainment, Hansen lied about BlueStar's financial, legal and contractual status. Meanwhile, BlueStar trumpeted the purportedly pending deal with Imprint to attract more investment, and sent out a press release to the Hollywood Reporter. The deal fell through on inspection. 6) That Hansen and Boyd conspired together to knowingly defraud investors, and in doing so, managed to attract $395,000 through fraudulent means. Ironically, Hansen's bank, Riverbank, was the same bank used by Greg Jeffreys, the con-artist who hocked chunks of the Ridpath Hotel for far more than they were worth. And one of Hansen's collaborators, Brian Main, was one of Jeffreys' partners as well. Read our in-depth investigation of the company, "The Wizard of Spokane." Then read about how an accountant who worked for Hansen also got tangled up in the famous Lenny Dykstra case. And then learn about how BlueStar was evicted from the Commercial Building last year.